I love the fall migration, because on fall weekends and evenings, I can look out in my backyard and I might just see something I don’t normally get to see. One evening last week, I saw this bird. Eastern bluebird on my deck. 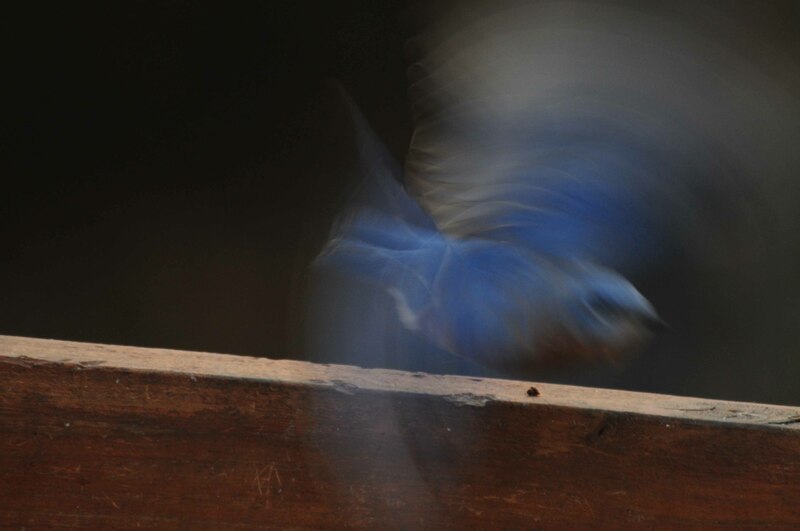 In mere minutes, the bluebird was gone. 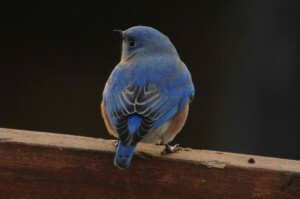 Some people in Michigan see bluebirds year-round, but because I don’t, I get a real “Woo-hoo!” from seeing one. Because birds are migrating, I also got in the habit of checking out every flock that came through. On Sunday morning, I saw this from across our lake. 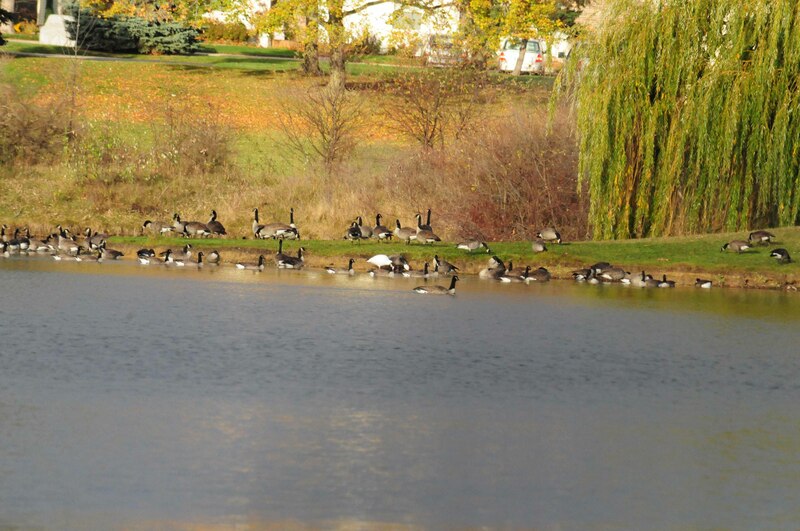 Note the patch of white amongst the Canada geese. It was only because of that small patch of white that I jumped in my car and drove over to the other side of the lake. 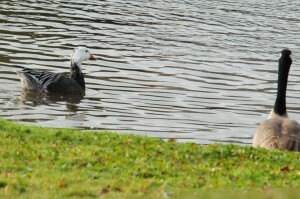 I crept closer and snapped a shot of what turned out to be an adult snow goose in the white phase. 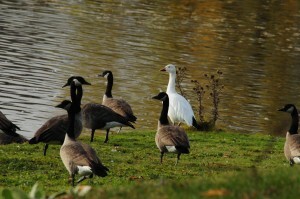 Snow goose - adult in white phase - amongst the Canada goose. 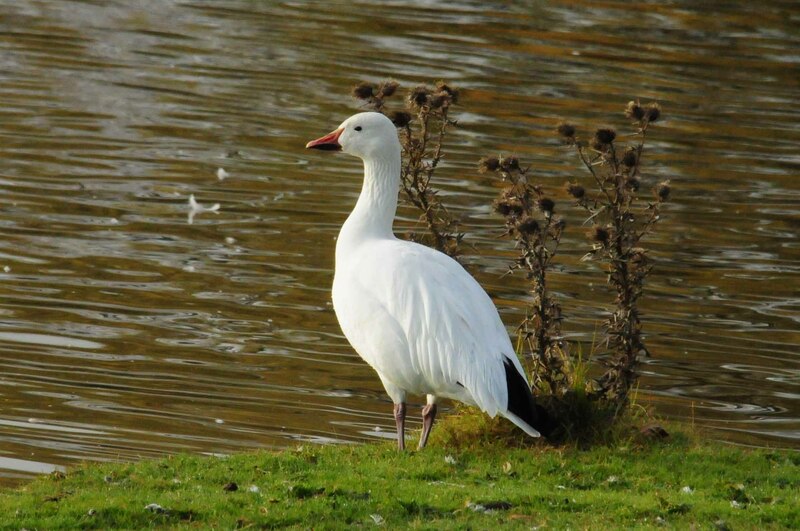 This is what the snow goose in the white phase (or white morph) looks like up close. 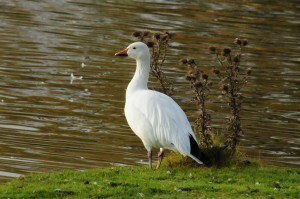 Snow goose - white morph adult. What I didn’t notice is that with this white morph adult was a blue morph adult. 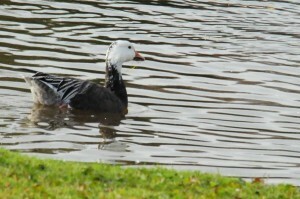 Snow goose- adult blue morph. This is the same photo cropped. Snow goose- adult in blue phase - a.k.a. blue morph. 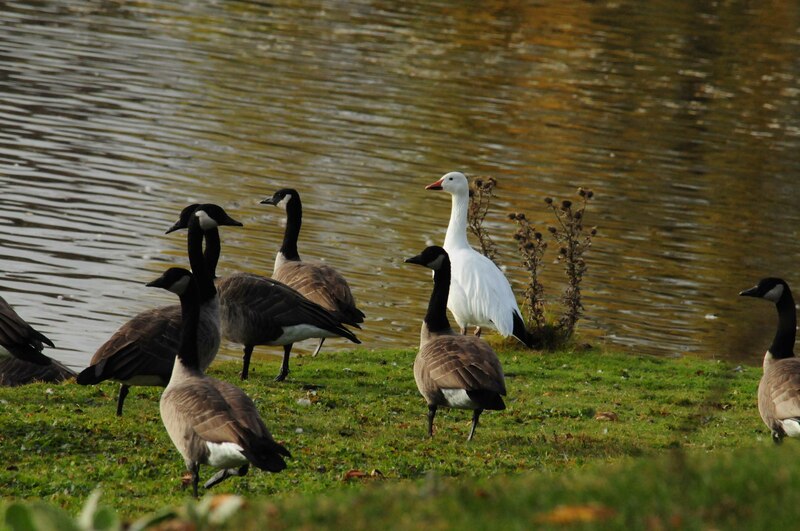 The two adult snow geese seemed to be hanging out together, amongst the flock of Canada geese. Snow geese on my lake. 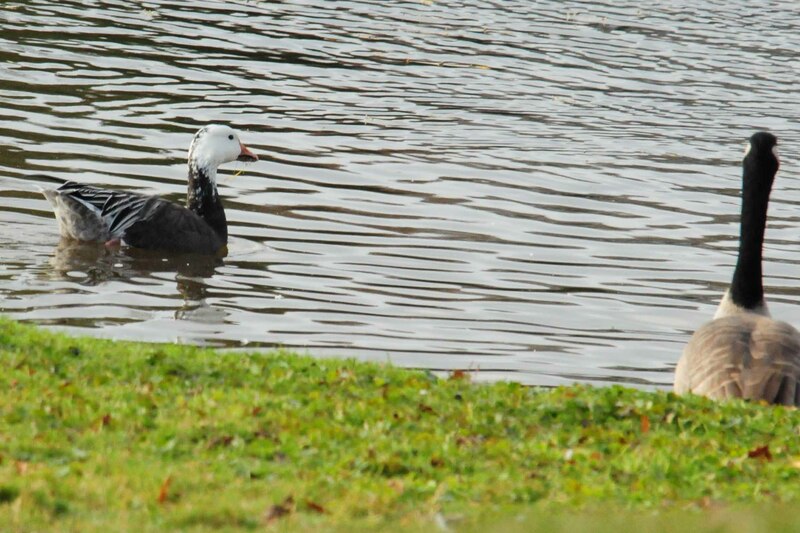 What’s nifty about seeing these birds is that snow geese breed in the arctic, which is like far away. Depending on where exactly they came from in the arctic and where they will travel for the winter, Michigan may very well be the mid-way point in their travels. So, the fact that I got to spend a few minutes with them on their long journey is quite amazing. The fact that the entire flock was gone an hour later made it all the more special. 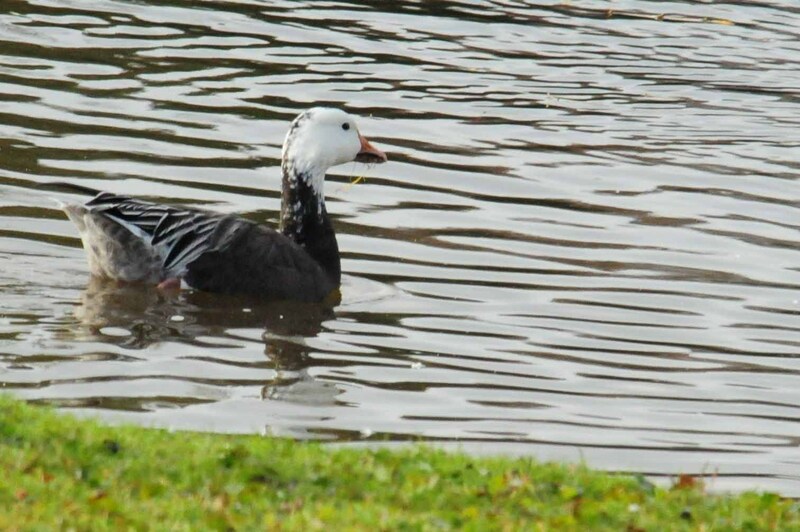 Good luck all ye geese. 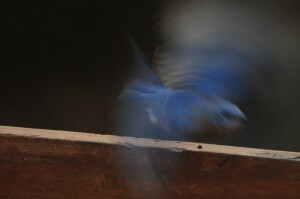 And ye bluebirds, too . . . whether you’re migrating or not.